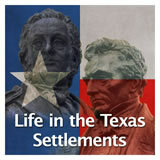 In this experience, students learn about Moses and Stephen Austin and their role in the settlement of Texas. 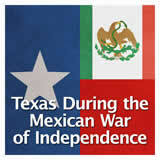 They read about the Austin colony and land grant conditions and requirements. 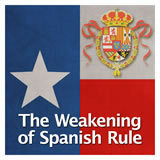 Then they work in small groups to prepare a recruitment poster on behalf of the Austin colony. 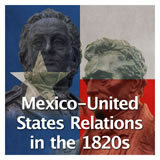 Identify the contributions of Moses Austin to the settlement of Texas. 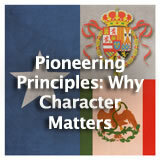 Explain how Stephen F. Austin attracted immigrants to Texas. 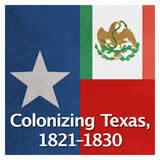 Stephen Fuller Austin is called “the Father of Texas,” but it was actually his own father, Moses Austin, who first had the dream of colonizing Texas. 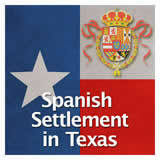 In this experience, you will learn about their roles in the settlement of Texas. 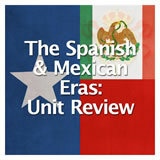 You will read about the Austin colony and land grant conditions and requirements. 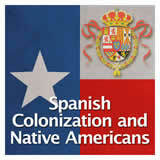 Then you will work in small groups to prepare a recruitment poster on behalf of the Austin colony. 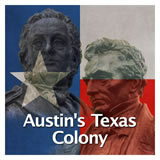 The Texas state capitol, Austin, was named after Stephen F. Austin. The streets that border the two sides of the capitol building are Colorado Street and San Jacinto Blvd., both named for major Texas rivers. What do you think are names of other streets in downtown Austin? All the north-south streets are named for major Texas rivers: Red River, Trinity, Brazos, Rio Grande, Lavaca, Guadalupe, San Antonio, Nueces, Rio Grande, Neches, and Sabine. 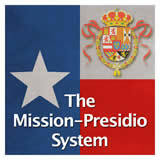 Students who are familiar with Austin may know that the east-west downtown streets are all numbered: 1st Street (renamed Caesar Chavez and running along the Colorado River), and then the streets run from 2nd Street to 19th Street (renamed Martin Luther King Jr. Boulevard and forming the border between downtown and the University of Texas campus).